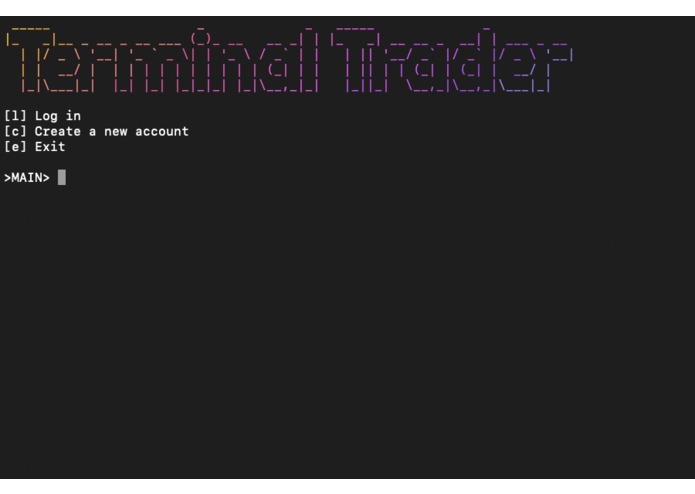 Terminal Trader is a web trading game that runs in your terminal where you buy and sell stocks. This is what the login and sign up menu looks like. This is the main menu where you can buy and sell stocks. This is what the user sees when purchasing stocks. This project was started at Byte Academy so that I could learn how to implement modularization, learn about JSON, and create and interact with SQLite3 databases. 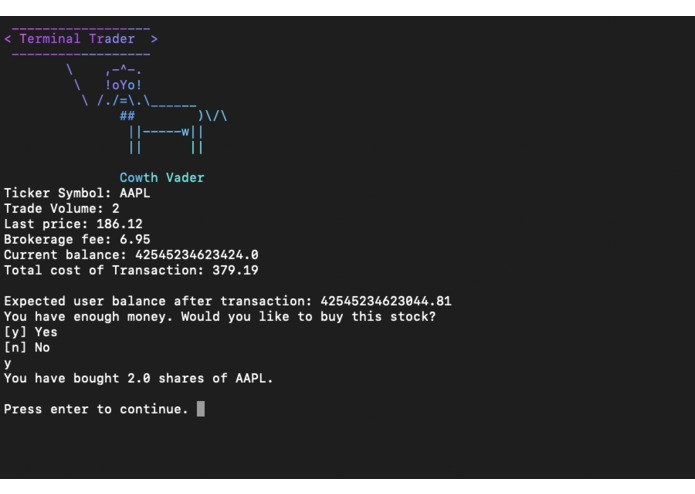 This application consolidates data from Nasdaq, allowing the user to search up the ticker symbol and price of any stock in real time. You can buy and sell any number of stocks and see your past transactions. The goal is to end up with a large profit. Good luck! 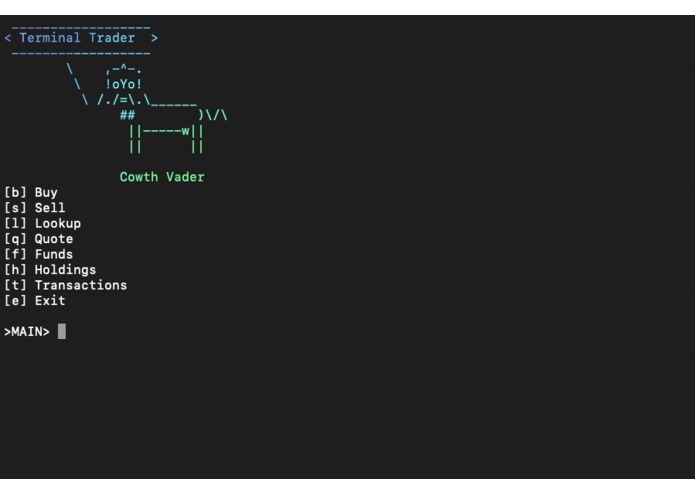 Clone or download the repository. Feel free to create any issues and pull requests for changes that you want to see in the future of this application. Have fun! Student at the University of Waterloo studying Systems Design Engineering. I am currently on my work term as a software developer.